It is graduation season. It is a time for joy, a time for bidding goodbye and farewell to school teachers, to classmates and friends. It is a commencement for a higher learning. March is to meaningful for me and also for my wife. I graduated my Bachelor of Elementary Education in March 31, 1985 and six years later, March 31, 1991 my wife completed her BEED course too. How wonderful to reminisce those unforgettable experience the very day that we marched in the same day but in a separate year. I gave up some of my jobs and pursued my teaching ambition and achieved it satisfactorily. Teaching is my passion. I love teaching kids. I started as a seminary teacher in our Church. I wanted to mold those children as what Jesus is setting the example. It is in teaching that paves the way for everyone to be obedient and be faithful in keeping the Lord's commandment and be entitled for the greatest blessings in their life - eternal life. My graduation is the product of great sacrifice. I had to go to college every off office hours for during that time I was the full-time Church custodian of The Church of Jesus Christ of Latter-day Saints. I had to double time studying every night and even Saturday and Sunday, without of course jeopardizing my Sunday attendance and my calling in our Church. 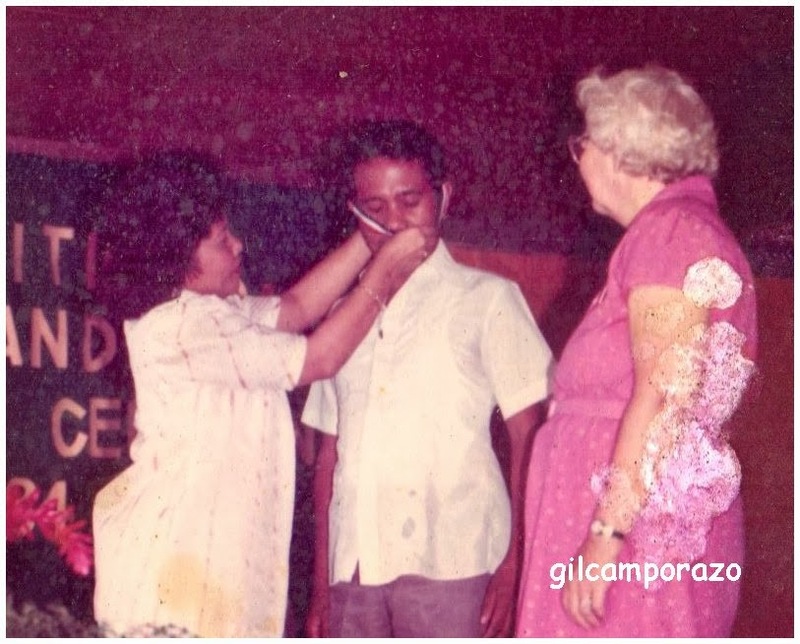 Six year later after I graduated in June 18, 1991, I left my Custodianship and started my first teaching assignment in Cainaman Elementary School, one of the 7 schools in District I, Division of La Carlota City. 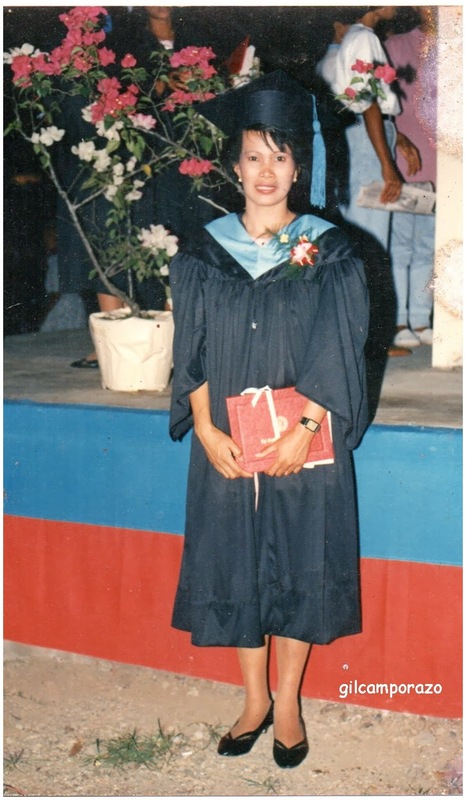 In 1998, I was transferred to the central school, La Carlota South Elementary School. I stayed for 2 years until I was promoted to head teacher 3 assigned in my first teaching school, CES. Later, I was transferred to Salamanca Elementary School in 2005. One year later, I got a new school assignment in Yubo Elementary School, which I stayed for 2 years there as Principal 1. In 2008, I was again transferred to Nagasi Elementary School and in 2010, I took the principal position of Ma'm Helen Abiol in Cubay Elementary School till the present. From CES and CES to another CES, my teaching experience is more than enough to value. I started in Church Educational System (CES) as seminary and institute of religion teacher for five years. 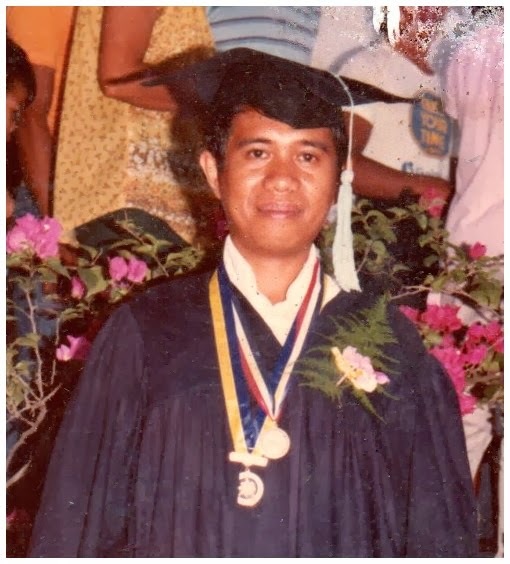 Then I started my teaching profession in a formal school in Cainaman Elementary School (CES), and finally in another CES, that is Cubay Elementary School as Principal up to the present. Why I shifted to teaching? It was in 1972 when I completed my certificate in secretarial science with honors. Three years later, I finished my Bachelor of Science in Commerce and landed my first job in the local rural bank in our place for 5 years. While I was working as bank employee I pursued my teaching course. I went to college every off of office late in the afternoon. However, it was discontinued for I resigned from the bank and transferred to The Church of Jesus Christ of Latter-day Saints as the Church Custodian. There I completed my degree in education. By the way, I finished all my college courses and degrees without spending a penny. I enjoyed a full academic scholarship as a top academice honor and a consistent editor-in-chief of the official school organ, The College Voice, of the college. I love teaching. I love teaching kids. I wanted to mold those children as what Jesus is setting the example. I do believe that teaching could make everyone obedient and be faithful in keeping the Lord's commandment and be with Him at the last days for the mansions He has prepared for them. You Sir is one best sample of all the teachers, I can't imagine how busy a teacher is but still you are able to share your thoughts and those photos are priceless. I always admire every teacher and all the teacher I know if not because of people like you I won't be able to be the person I am now. Thank you Sir. I admire how you managed your time between office, work and church and the I'm sure all the sacrifice you did made today even sweeter.. I place high value on teachers. It is definitely one of the most noble professions in the world. My sister is a former OFW and she choose to teach in an elementary school in our hometown. I agree with the last statement you wrote, molding the children in school having set Jesus as the example. That was also my first consideration when I looked for my kid's school and decided to enroll him in a Christian school. God bless! I have great admiration for teachers, as it's not easy to be one. It takes passion and dedication! :) Cheers to you!